By now, you have probably seen CNC machines, yet some of you might have no or limited idea as to what these machines really are. CNC is a short term for Computer Numerical Control. The CNC machines are composed of the microcomputer or minicomputer which serves as the machine’s controller unit. The program of instructions used by CNC machines are being fed directly to the computer with the use of a small board that resembles a traditional keyboard. In these machines, the program is also being stored and kept safe in the computer’s memory. This way, the programmer will find it easier to write the important codes, as well as edit any program depending on the set requirements for the specific situation. The programs can then be used for various parts, and there is no need to repeat them over and over again. 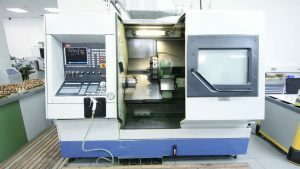 Unlike the earlier NC machines, the CNC machines provide improved computational capability and greater additional flexibility. Brand new systems can also be integrated to the CNC controller by just doing a reprogram of the unit. Due to the flexibility and capacity, these CNC machines are often referred to as soft-wired NC. If you are searching for some of the best CNC machines today, Cancam.ca is the best place to be. CNC machines are composed of a computer wherein the program is being fed for the cutting of metal based on the requirements called for by the job. 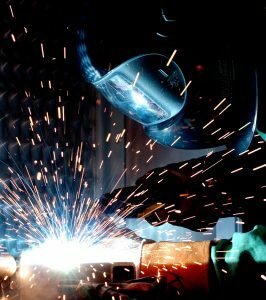 Each and every cutting process that will be carried out as well as all of the final dimensions will be fed to the computer through the program. 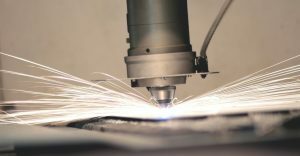 This way, the computer will already know what exactly will be done and proceed with all the processes of cutting. The CNC machines can work similar to that of a robot that must be fed with program then follow all your set instructions. 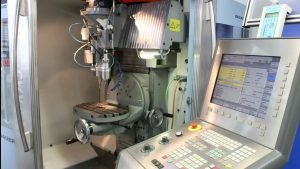 There are several machine tools which can run on CNC, which include milling machines, lathe, drilling machines, and others. The primary purpose of such machines is to get rid of some of the metal in order to give this the right desired shape like rectangular, round, and the like. In any traditional method, the machine is being operated by an operator who must be expert in the running and operation of such machines. Majority of the jobs must be machined in the most accurate manner possible, and an operator must be professional and skilled enough for making and completing precision jobs. In a CNC machine, the operator’s role is notably reduced. The operator only needs to feed the computer with the program of instructions, load all necessary tools into the machine, and the computer will then automatically do the rest of the work. The computer is the one that will direct the machine tool to carry out different machining operations according to the program of instructions that the operator has fed into it. When shopping for CNC machines, don’t forget to check out Cancam.ca to find a plethora of quality products to choose from.